1. 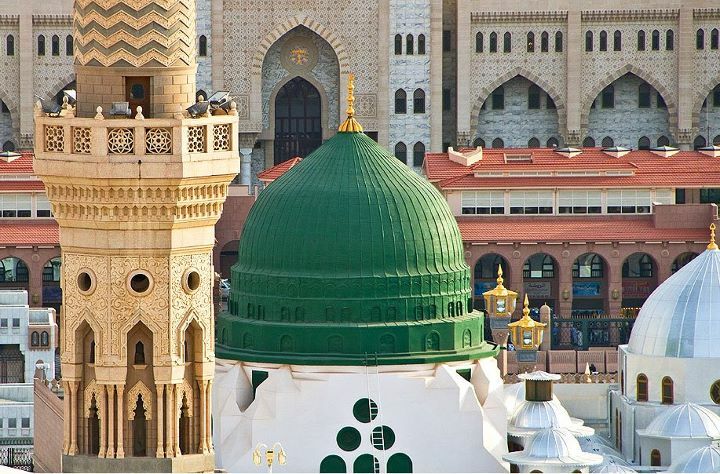 Some people say that at the time of Azaan, it is Haraam to kiss the nails of the thumbs when the name of the Holy Prophet Muhammad (sallal laahu alaihi wasallam) is uttered. 2. 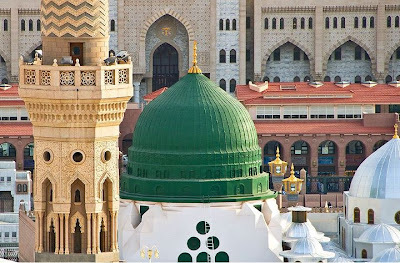 The Ahle Sunnah Wal Jama'at believes that it is permissible to read the Durood Shareef and kiss the thumbs upon hearing the name of the Holy Prophet Muhammad (sallal laahu alaihi wasallam) during the Azaan. 4. In Jannat, when Hazrat Adam (alaihis salaam) desired to meet the Holy Prophet (sallal laahu alaihi wasallam), then Allah Ta'ala sent Wahi (revelation) to him, "From your generation, he will become apparent in the later years". Then Hazrat Adam (alaihis salaam) desired from Allah Ta�ala to meet the Prophet (sallal laahu alaihi wasallam). Allah Ta�ala showed him the Noor of the Holy Prophet (sallal laahu alaihi wasallam) on the Shahadat finger of his right hand. The Noor recited the Tasbeeh of Allah Ta'ala. It is for this reason that this finger is known as the Kalima finger. Allah Ta'ala showed the beauty of the Holy Prophet (sallal laahu alaihi wasallam) on both the thumbnails of Hazrat Adam (alaihis salaam) like a mirror. Then, Hazrat Adam (alaihis salaam) kissed both his thumbnails and turned them over his eyes. 10. From these discussions it can be affirmed that kissing the thumbs and touching them with the eyes at the time of Azaan is Mustahab. 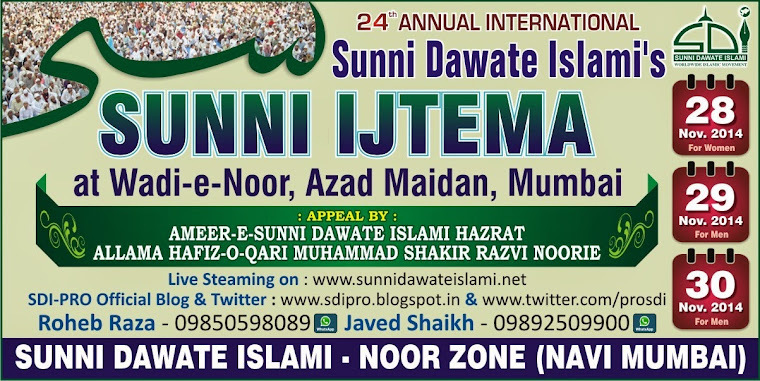 It is the practice (Sunnah) of Hazrat Adam (alaihis salaam), Hazrat Abu Bakr Siddiq (radi Allahu anhu) and others. The scholars of the Shari�ah (Fuqaha), Ahadith (Muhaddiseen) and the Knowledge of the Quran (Mufassireen) all are in agreement with this issue. 1. The man who acts upon this practices and maintains it as a regular habit shall not suffer any disease or pain in his eyes. 2. Insha Allah, he shall not become blind at any stage of his life. 3. For a person who suffers from any ailment in his eyes, he should adopt this practice as a cure of his ailment. It is hoped his eyes shall become normal and healthy once again. 4. The person who constantly adopts this act of goodness showing his deep regard and veneration for the Holy Prophet (sallal laahu alaihi wasallam) shall be blessed and honoured with his Shafa�at on the Day of Judgment and he shall be included in the rows of the followers of the Holy Prophet (sallal laahu alaihi wasallam). 1. Some people say that it is Bid�ah (innovation) to read the Durood Shareef before and after the Azaan. 2. 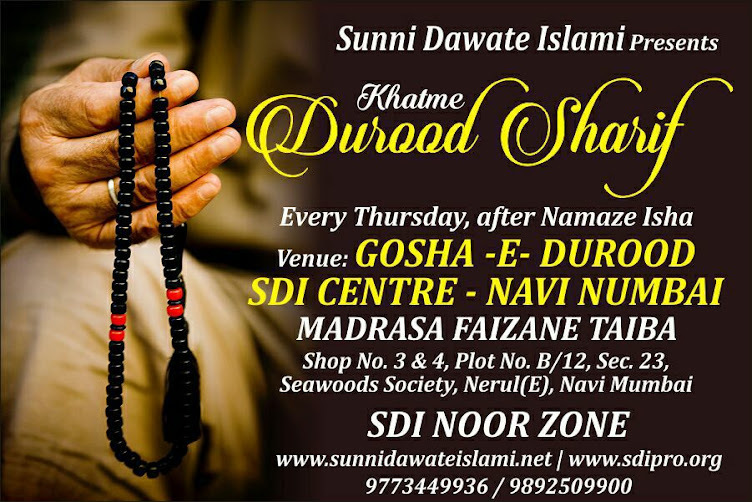 The Ahle Sunnah Wal Jama'at believes that it is permissible to recite the Durood Shareef before and after the Azaan. This is a current practice in many of the Arab countries. 4. The Holy Prophet Muhammad (sallal laahu alaihi wasallam) said that when we hear the voice of the Mu'azzin, we should repeat whatever he has said and then send Durood Shareef upon him. He said that the person who sends one Durood upon him, Allah Ta'ala will send ten mercies upon that person. (Sahih Muslim, Al-Qaulul Badi) In this Hadith Shareef, proof is found here that the Holy Prophet (sallal laahu alaihi wasallam) asked us to recite the Durood Shareef after the Azaan. 5. The Holy Prophet Muhammad (sallal laahu alaihi wasallam) said: "If, when performing any good deed you do not commence with the praise of Allah and send Durood upon me, then that deed is empty of blessings." (Al Jaame Sagheer) Which Muslim is there who does not consider the Azaan to be a good deed? 6. In fact it was Salahud�deen Ayubi (radi Allahu anhu) who gave the command of Durood Shareef to be recited before and after the Azaan. Hazrat Salahud'deen Ayubi (radi Allahu anhu) was a very great and pious King who liberated the Baitul Muqaddas. Great Muhaqiqeen and Muhaditheen made Du'as for him. 8. Hazrat Mulla Ali Qaari (radi Allahu anhu) in his book "Fathul Mueen" says that Durood should not only be recited before Azaan, but also before the Iqaamah. 9. Sheikh Kabeer Bakari (radi Allahu anhu) has stated that it is desirable to recite Salaatus Salaam before the Azaan and the Iqaamah. 10. Thus, to recite Durood Shareef before and after the Azaan is totally permissible and those who follow this are the Ahle Sunnah Wal Jama'at.